Oscars sometimes lean towards the dark and the melodramatic. The miracle of “Room” is that it takes the darkest story possible (a woman and her son are held hostage in a predator’s shed), and it doesn’t necessarily make light of it, but it does make it life-affirming. I have never seen a film quite like this one, and have rarely felt this way about a film before. 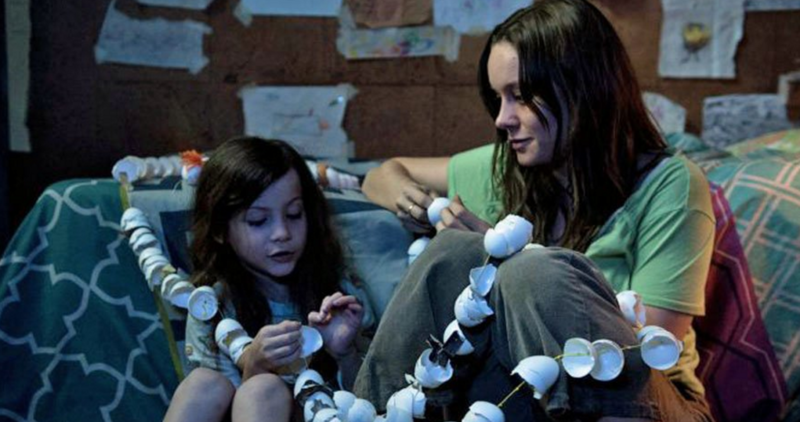 I am getting all cliche now but when you see a film as good as “Room,” it can turn you into a sappy goof. Part of the inspired outlook on life of “Room” has to do with Lenny Abrahamson’s outstanding direction. During much of the film, we are seeing the world through Jack’s (Jacob Tremblay) eyes for the first time. Therefore, a dog looks like the most magical creature alive (I mean, they already are). Meanwhile, a staircase looks absolutely terrifying. Abrahamson takes the mundane and makes it look fresh. The kind of directors who win Oscars are the ones who are in-your-face about their visuals. Abrahamson is too subtle to win, yet too talented to ever be forgotten. Maybe Christian Bale would have looked more like Steve Jobs, but Michael Fassbender really nailed the soul of this man, which is what this role really required. The film itself walks the line between messy and underrated, but Fassbender brings a dose of humanity to this larger-than-life figure. But you know what, give the Oscar to Leo. His performance as Hugo Glass in “The Revenant” is far from his best performance (he should have won for “The Wolf of Wall Street”), given that it mainly involved a lot of moaning and grunting, but I just want him to win already so he stops hurting himself. 2016 is the year that America finally paid attention to Brie Larson. She started off as an Avril Lavigne-like pop star and now she’s destined to win her first Oscar. As Joy, she plays a young mother held hostage with her son. She is given the tough task of both having to act years beyond her age and absolutely clueless. It’s an unimaginable situation, but thanks to her, the screen is dripping with empathy and humanity. It is a total shame that Michael B. Jordan and Tessa Thompson were left out of this race. For now, Stallone is the only one supporting my favorite movie of the year at the Oscars. And he deserves this nomination, and what will likely be his first win. Stallone’s authenticity truly shines here, as only somebody who has played this character for 40 years should. With a lot of terrible choices, it is easy to turn Stallone into a punchline. “Creed” is a reminder that this guy truly is an artist. The latest Quentin Tarantino joint was wrongfully overlooked, both by audiences and Oscar voters. As outlaw Daisy Domergue, the sometimes bad guy of “The Hateful Eight,” Leigh plays every character, every plot twist, like a fiddle. That’s ironic, because she’s not too bad at playing the guitar. “Ex Machina” is a quiet and esoteric little sci-fi film about human nature and artificial intelligence. I expected it to be smart and thoughtful, but I didn’t expect it to be this entertaining, thrilling, or funny. “Ex Machina” doesn’t waste a minute of its screen time; it jumps right into the central plot within the first few minutes. Its one of the few times where lack of build-up actually works to a film’s invention. We can also thank Alex Garland for writing the most interesting mad scientist in a while, who’s a drunk oppressor masquerading as a genius. In a better world, I would also be writing about why Oscar Isaac would be taking home his first Oscar this year. When I walked into “The Big Short,” I had no idea what a subprime mortgage was. When I left, I had a vague idea. That is the brilliance of Adam McKay and Charles Randolph’s screenplay: it does a lot of hand-holding, but never treats the audience like its dumb. Its smart enough both to assume that you’ll catch up with the rapid pace plot, and that also Wall Street is way more interesting when explained by Margot Robbie in a bath tub. “The Big Short” is the satire we both deserve and need right now. This entry was posted in Uncategorized on February 13, 2016 by ian0592.